Daniela Arroyo-González was involved in a successful effort to allow transgender people in Puerto Rico to change their birth certificates to match their gender identity. 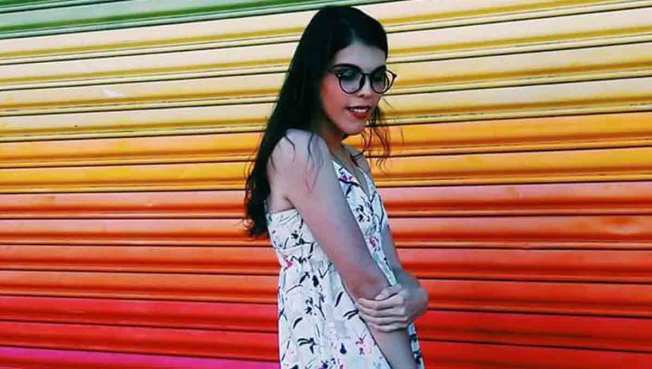 The teen activist says Puerto Rico has now become "more free and inclusive"
Daniela Arroyo-González fought for Puerto Ricans to be able to show their true gender identity on their birth certificates. After a 15-year legal battle, Puerto Rico's government is now allowing transgender people on the island to correct their birth certificate to reflect their gender identity. The change affecting the U.S. territory came into effect on July 16, three months after Lambda Legal brought a federal lawsuit, Arroyo v. Rosselló, on behalf of three transgender Puerto Ricans: teenager Daniela Arroyo-González, Victoria Rodríguez and a transgender man identified as J.G, and the NGO Puerto Rico Para Tod@s.
“This fight began a long time ago and we have finally succeeded,” Omar González Pagan, an attorney for Lambda Legal, told NBC. In 2005, Alexis Delgado Hernández, a transgender woman, first filed a suit to have her gender modified on her birth certificate and driver’s license, he said. Her request was denied on the grounds that there would have to be a change in Puerto Rican legislation. Lambda Legal argued in its suit before the U.S. District Court for the District of Puerto Rico that the legal decision had no rational justification in law or practice. There are still three states in the U.S. that do not allow the modification: Kansas, Ohio and Tennessee. Across the country, the policies for changing gender markers vary, according to the Transgender Law Center. Some states require a doctor's letter, others a court order and in some cases a surgical requirement as well. Puerto Rico will now require either a passport or driver's license with the person's true gender identity (both forms of identification can already be obtained to reflect a person’s gender identity) or a certificate from a health professional. Judge Carmen Consuelo Cerezo, who signed Puerto Rico's order, said: “The right to identify our own existence lies at the heart of one’s humanity. And so, we must heed their voices: 'the woman that I am,' 'the man that I am.'" Daniela Arroyo-González, a public relations student and one of the plaintiffs in the federal case, has become a spokeswoman for her community. Now 19, she was contacted as a high school senior by Victoria Rodríguez, also a plaintiff, and González Pagan to put her name on the case. She began her transition at 14 with the help of a professor in San Juan who directed her to a doctor. Although it was difficult for her family at first, Arroyo- González said that she had their full support through her transition. Although the advocates called the win an historic one for Puerto Rico, journalist, scholar and lawyer Manuel Clavell Carrasquillo said that there is still plenty to be done for gender inclusive policies. "To categorize and think in terms of male and female is unprecise and does not fully resolve the problem. Gender non-conforming people, for example, are still not protected by this decision," he said.